The greatest trick God ever pulled was convincing the world that He existed. So how does an imaginary fictional character persuade billions of actual people that He is real? Simple: have humans do it for you. President Trump often bases his decisions on what he heard from the last person he talked to or the last TV program he watched. Maybe this could work to the world's advantage...or not. In the near future, gun deaths reach historic lows — angering GunZilla! If America doesn't resume our ritual human blood sacrifice, the One True Gun Death God will decimate humanity with 350-foot-tall radioactive reptilian gunfire and fury! North American White Racists are nearing extinction — dangerously weakening society's immune system defenses against viral bigotry. But the conservationist nonprofit WARP has a solution. Our overpopulated, resource-depleted planet is dying. But the winner of the Nobel Prize for Genocide believes it's not too late to save Earth's remaining species — by radically reducing our own. There once was a man who was extremely sick. He had the world's rarest (and weirdest) disease: Cartoonitis. His bizarre symptoms were both excruciatingly painful and humiliating. Beyond the limits of human conception, really — but not the limits of human endurance. Have you been literally dying to know the linguistic origin story of my name: Benjamin Edison? Of course you have...not. But I'm going to tell you anyway. Because, even though I'm purely fictional, I'm probably even more egotistical than you. According to Science, a person is dead when their body becomes a corpse. When we die, we no longer experience anything or exist. We are then no longer real. We become fictional. 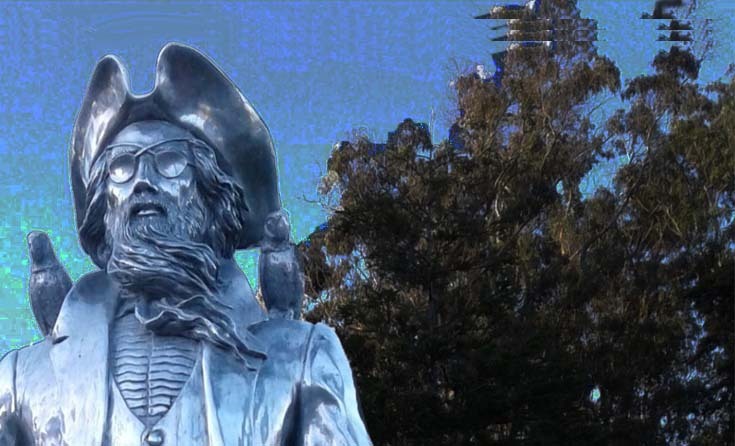 The silver pirate lives in Golden Gate Park about a block from Mat’s tiny apartment. He is a life-sized fictional metal person with two swords, two peg legs, two hooks for hands, two eye-patches and two seeing-eye parrots on his shoulders.